We are all fans of this monthly crafting kit and want to share with you our enthusiasm for this box of fun and creativity. The beauty of the Paper Pumpkin kit is that you can follow the directions provided in the kit and make the projects as they were designed or use the supplies as a starting point and let your creativity run wild. 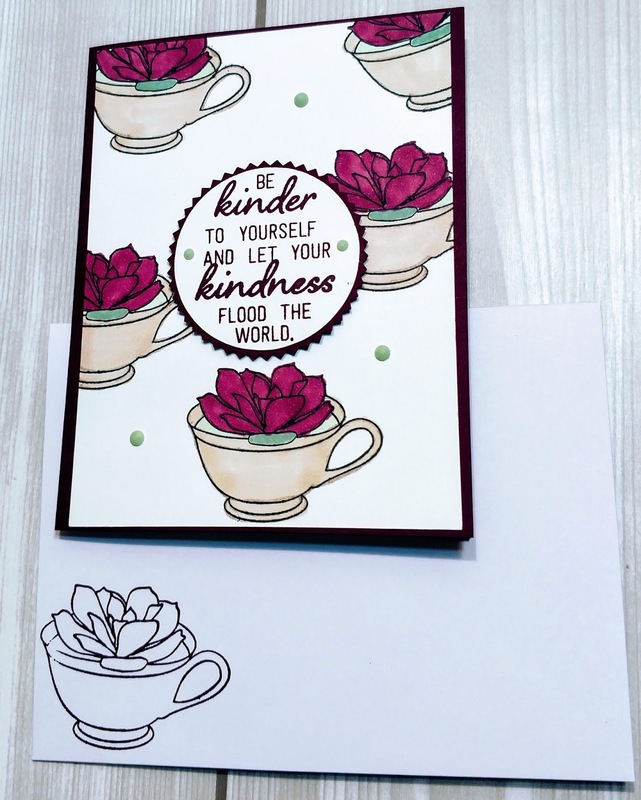 On this hop we will be sharing lots of ideas with you on how to use this February Paper Pumpkin kit: Grown with Kindness. The kit makes 9 cards and it has photo-realistic images Here's the project I made. If you love succulents, then this is the kit for you! Checkout the beautiful succulents in this kit! To celebrate this fun occasion and to thank everyone who supports Paper Pumpkin month after month, we’re offering a specially-designed March kit and a FREE STAMP SET. Oh, yes. You read that right. In March, you will receive TWO stamp sets with your Paper Pumpkin kit. Subscribe by March 10th and get this specially designed box delivered to your mailbox. Thank you for joining us as we share with you the possibilities of paper pumpkin, now hop over to Debbi's blog to see her cute creation. If you are new to stamping or don’t already have a designated demonstrator… I would love the opportunity to earn your business. Please use February Host Code: GW2K3W6B on all orders up to $150.00 and receive a complimentary gift from me. Click here to get your complimentary gift. 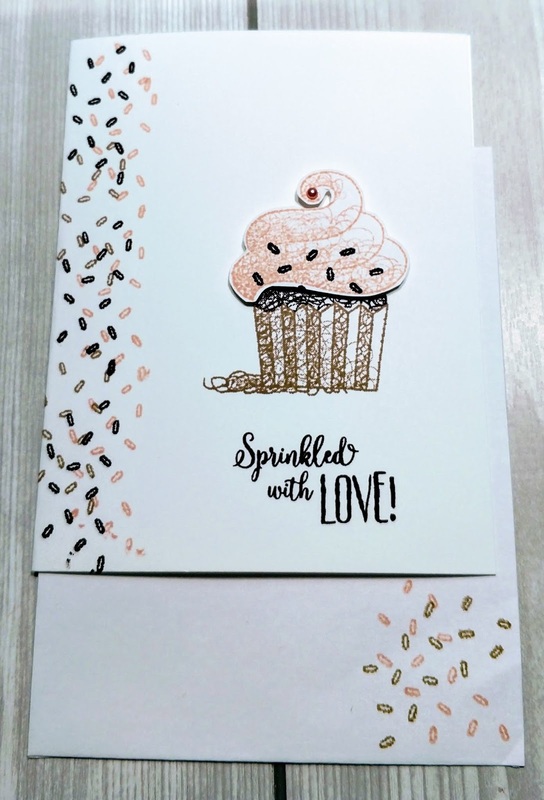 Saturday Spotlight: Stampin' Up! 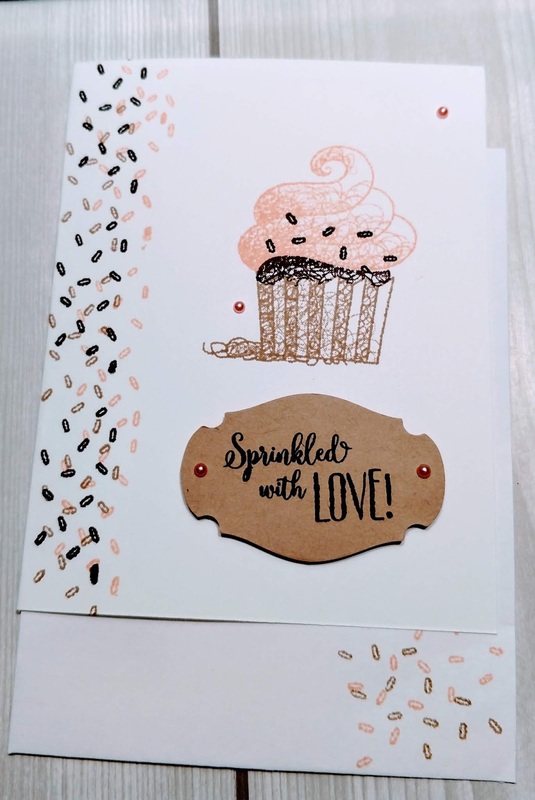 "Sprinkle With Love"
These cards were created with three different types of crafters: Beginner, Casual and Avid. Each card started with the basics: block, ink, paper and stamp set. 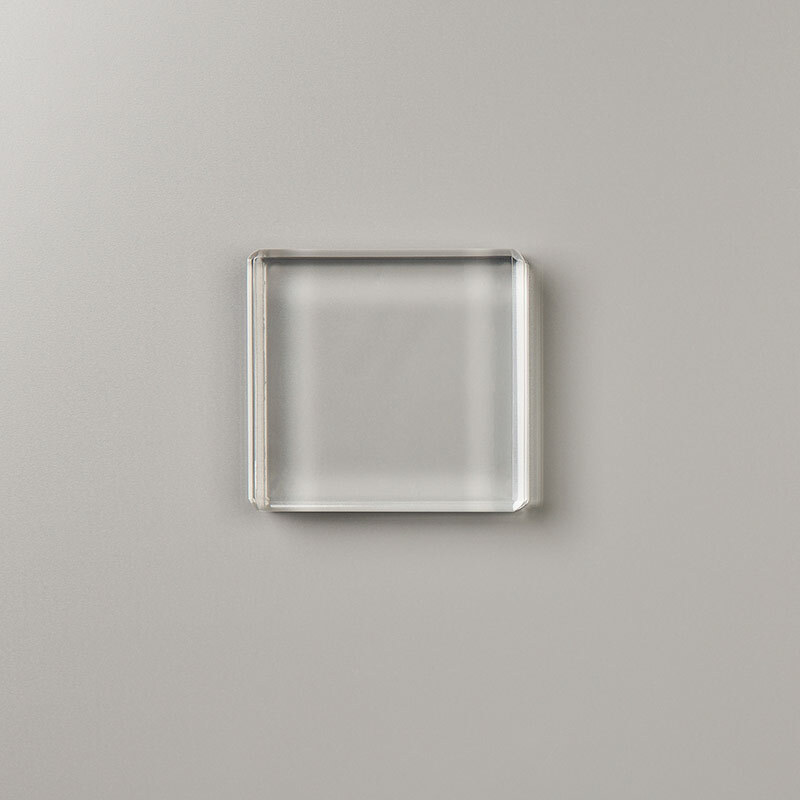 I hope you like the projects and it gives your creative spirit a boost. Don’t forget to decorate your envelope also. 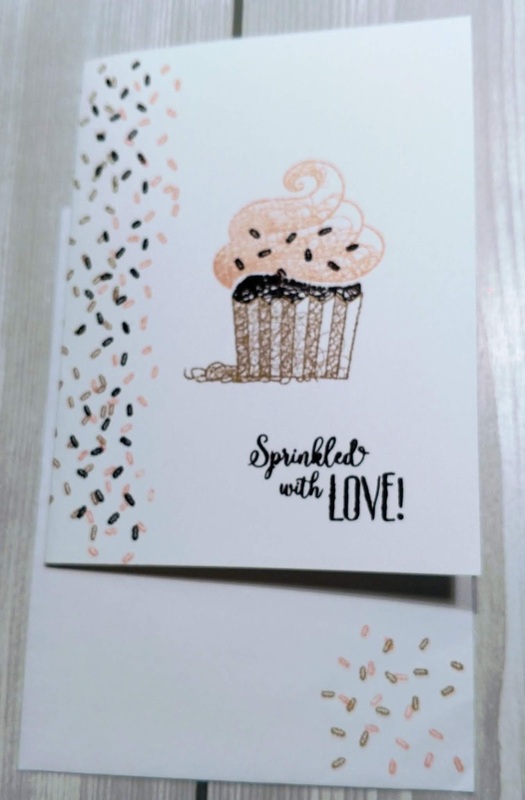 Cut card base 8.5" x 5.5", score @ 4.25"
Stamp the cupcake image on card base using the ink pads. Stamp sentiment on card. Add sprinkles to top of cupcake. Voila your card is finished. Stamp the top of the cupcake image on small piece of whisper white card stock. Using scissor hand cut cupcake top. Stamp bottom of cupcake on card base. Attach cupcake to cupcake bottom with dimensionals. Stamp sentiment on card. Add sprinkles and a pearl to the top of cupcake. Avid: Let Your Creative Spirit Soar! Stamp sentiment on crumb cake card stock and cut with story label punch. Attach sentiment to card base using dimensionals. Add sprinkles to top of cupcake. Add pearls to sentiment layer and card base for that extra bling! Voila you card is finished. February Host Code: GW2K3W6B and get a free Clear Block D.
Bump of your order to $50.00 and earn FREE Sale-a-bration products while supplies last! Must love free crafting supplies and fun with friends. No experience necessary-just willing to get creative! When you host a qualifying party during Sale-A-Bration with at least $250 in sales, you earn $25 more in Stampin’ Rewards. There’s no better time to be a host than now! Set a date and make a plan! Our team's weekly challenge was to create a project using Love as the theme. I choice to spotlight the "Sale-a-bration Foil Sheets" using the Ribbon of Courage stamp set. 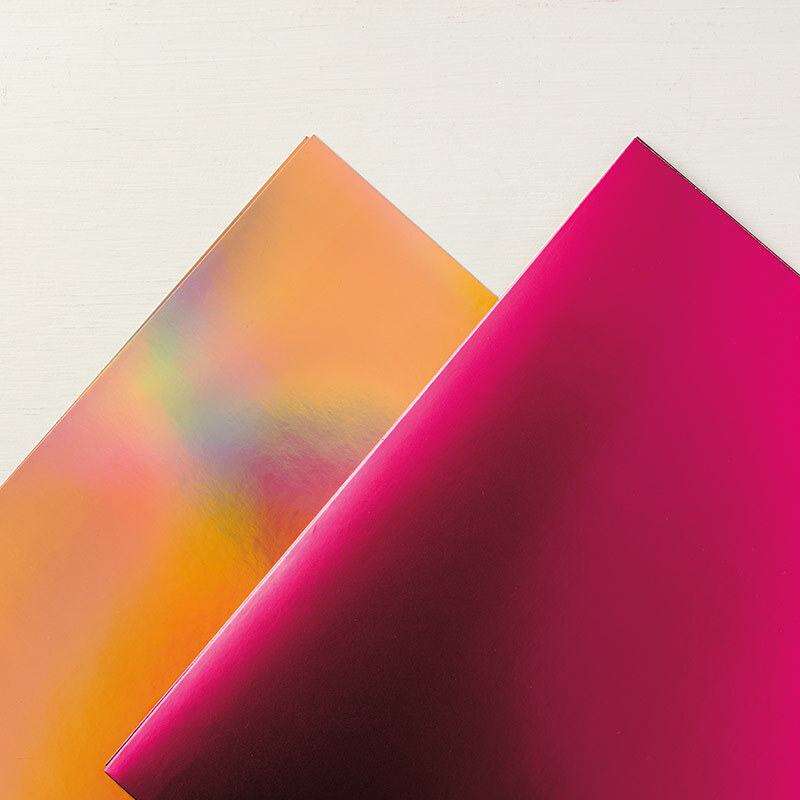 The foil sheets comes in two colors: Grapefruit Grove and Lovely Lipstick. I really love the brilliance of the colors. I decided to use the lovely lipstick foil sheet because it's a great compliment to the "all My Love" designer series paper. 2. Cut designer series paper (dsp) 2" x 5 1/2"
4. 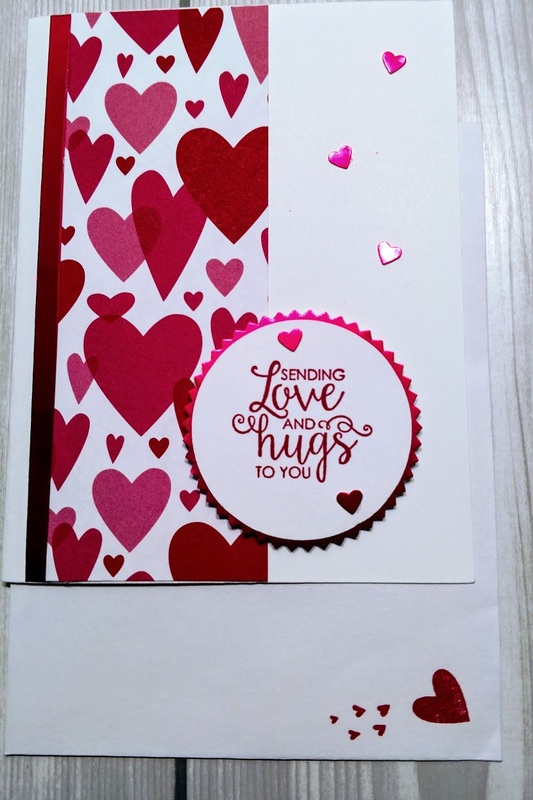 Cut sentiment layer using the circle punch and cut foil sheet layer using the starburst punch. 5. Cut 1/2" strip of the lovely lipstick foil sheet and attach to the dsp. 6. Assemble card as shown in the picture above. 7. Add dimensional to sentiment layer and attach to card. Give your card that extra wow with foil hearts made using the cookie cutter punch and glue dots.